The meeting was focused on presenting to the future partners the scope and aims of Cedefop and ReferNet, and the 2018 ReferNet deliverables. Their cooperation will add value to activities such as reporting on VET policies, national news on VET, and visibility actions. 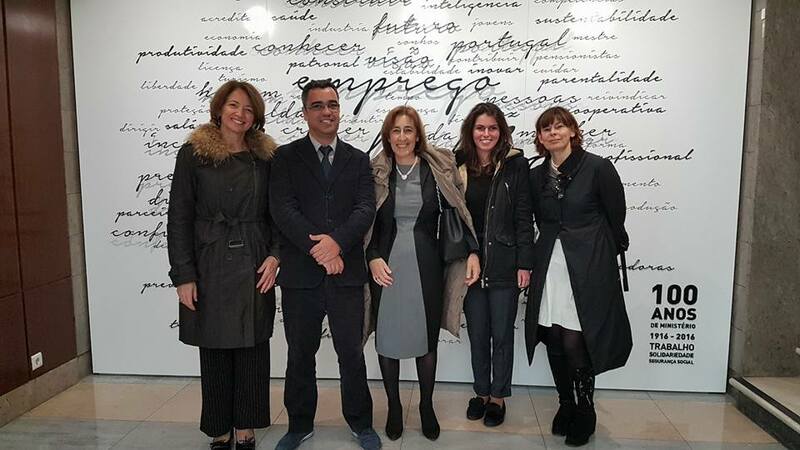 The meeting was attended by Sylvie Bousquet, European coordinator of ReferNet in Cedefop, Fernando José, Deputy-General Director of DGERT, Fernanda Ferreira, national coordinator of ReferNet Portugal, and representatives of the invited entities: National Agency for Qualification and Vocational Education and Training (ANQEP), Confederation of Portuguese Farmers (CAP), Portuguese Commerce and Services Confederation (CCP), Centre for Union Training and Vocational Training (CEFOSAP), Directorate-General for Education and Science Statistics (DGEEC), Eurydice, Institute for Employment and Vocational Training (IEFP), Portuguese Tourism Institute (ITP) and General Union of Workers (UGT). finding ways to approach a wider public. The partnership agreements will be formalised during 2018.